Three years ago Lucy Mangan penned an indifferent study in praise of Roald Dahl. She now makes amends by writing an account of her own childhood reading that is both wise and witty. Books about children’s literature can sometimes be on the worthy side, over-stressing the pedagogical at the expense of the personal. But Mangan openly adores all the authors she discusses and also writes with wry affection about her former responses. 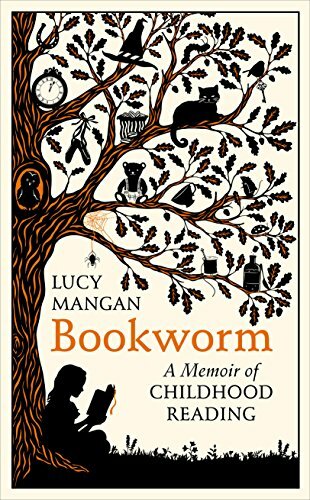 The amount of books she read as a child is so enormous her discussion of them now reads like a history of children’s literature over the last two centuries. She quickly developed a habit of literary honesty, telling herself and any of her family who would listen what she really felt about her reading. Upset by the ending of Charlotte’s Web, she rejects her father’s typically kindly suggestion that the spider’s death is an inevitable part of the great scheme of things. ‘I know people die in real life,’ I shrieked. ‘But why do they have to die in books?’ What an interesting comment! Here are the rest of us critics solemnly attesting over the years to the value of books that introduce the idea of death to children, faced by the experience of a real child who knew it all anyway and simply wanted a safe fictional place in which to escape. Mangan takes her story up to adolescence, a time when ‘my classmates were discovering real boys. I thought I was doing quite well to have discovered them in books.’ She writes about well-known authors but also some forgotten ones for whom she still has an abiding love. If there is now something of a revival for Gwen Grant, Sybil Burr and Antonia Forest, it will surely be down to her advocacy. She doesn’t get everything right; George Macdonald would not have been able to share a beer with C.S Lewis at Oxford’s famous Eagle pub because he died in 1905. But she has interesting things to say about other celebrated names from the past like Joyce Lankester Brisley, whose own home life as a child was in such marked contrast to that enjoyed by her immortal fictional character Milly-Molly-Mandy. And all the time Mangan has the ability to be ceaselessly and apparently effortlessly funny, as all who read her television reviews in the Guardian will already know. Her footnotes are a particular delight, still waging family battles but now conducted in high good humour. There are also moments of sadness when she describes the joys of going to her local school or public library and finding lovely old books on the shelves as well as bright new ones. Today the young Lucy would still be able to visit her beloved Torridon Road Library in Catford, South London. But where in so many villages and suburbs now might her modern equivalent go to find such past and present treasures of the mind?